In response to our clients’ desire for something outstanding Tempo introduced, the Diplomat Plus Diploma Frame with a 22k gold plated Medallion. Tempo decided that only the very best medallion would be used to enhance the Diplomat Plus Diploma Frame so we chose an actual minted coin. Add this gold medallion to the suede mat, the gold wood fillet and the satin furniture finish moulding and the results are spectacular! 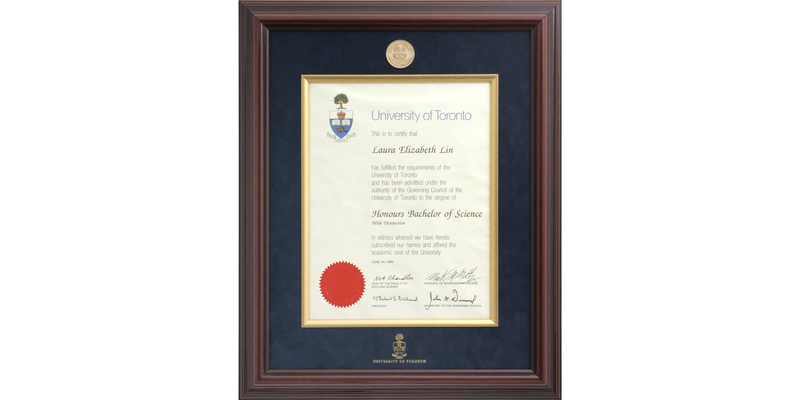 For those who want the very best to celebrate their success, it’s the Diplomat Plus Diploma Frame with 22k gold Medallion.